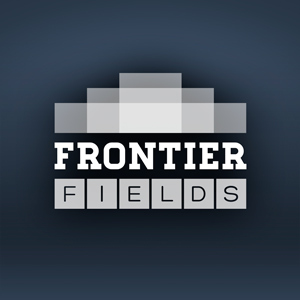 This is the fifth in a series of posts introducing and providing essential facts about each of the Frontier Fields. As observed by NASA’s Chandra X-ray Observatory, the Abell S1063 galaxy cluster is incredibly bright in high-energy X-ray light1. When neighboring galaxies or clusters of galaxies merge due to gravity, the infalling gases collide. The resulting shock heats the gas, which then emits high-energy X-ray light. The Abell S1063 galaxy cluster’s X-ray brightness is one of the clues that suggests we may actually be observing a major event involving the merging of multiple galaxy clusters. 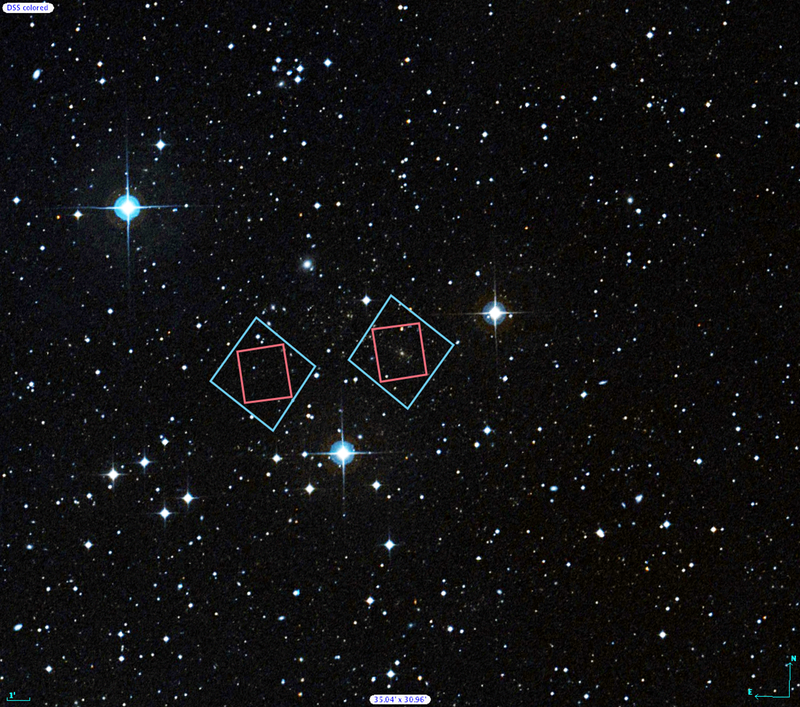 The locations of Hubble’s observations of the Abell S1063 galaxy cluster (right) and the adjacent parallel field (left) are plotted over a Digitized Sky Survey (DSS) image. The blue boxes outline the regions of Hubble’s visible-light observations, and the red boxes indicate areas of Hubble’s infrared-light observations. A scale bar in the lower left corner of the image indicates the size of the image on the sky. The scale bar corresponds to approximately 1/30th the apparent width of the full moon as seen from Earth. Astronomers refer to this unit of measurement as one arcminute, denoted as 1′.